Forever Lighter is a battery powered and USB rechargeable lighter that produces the same technology to light as car cigarette lighters. It is an electronic tool so it never needs butane or lighter fluid. Forever Lighter's heating coil will be activated by Forever Lighter to light cigarettes without the need for butane or lighter fluid. It is meant to withstand 100 lights before it needs to be recharged, and then it charges into a USB port with its built-in USB charger. Forever Lighter uses a rechargeable battery to power itself and the battery is intended to last for years. It is also built with a windproof design. Forever Lighter makes it possible for users never to have to use traditional lighters or be stuck with a dead lighter ever again. It uses the same technology of car cigarette lighters, and can withstand even the highest winds because it is completely electronic. Forever Lighter can last through 100 lights before it needs to recharge. It contains a built-in USB adapter that can plug into a USB port to recharge. Additionally, Forever Lighter includes a built-in mini light powered by LEDs. To use it, users just slide open the top door to reveal and activate the hot coil, which will then be ready to light. The cost of Forever Lighter is $10.00 plus $6.99 shipping. The special TV offer allows you to receive a second Forever Lighter by paying the extra shipping fee of $6.99 for a total price of $23.98. The Forever Lighter is a completely electronic lighter The Forever Lighter uses the same technology as a car cigarette lighter and never requires butane or lighter fluid. 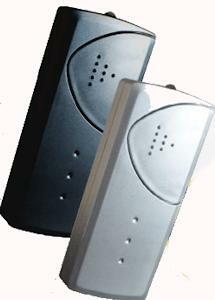 It is rechargeable and the rechargeable battery it depends on is meant to last for years. Additionally, Forever Lighter should produce 100 lights per charge before it needs to be plugged in with its built-in USB charger. How does Forever Lighter work? The same technology that powers your car cigarette lighter is what activates Forever Lighter to light your cigarette. It uses a hot coil which is activated when you open the top lid. A full charge of the Forever Lighter can withstand 100 lights. When Forever Lighter needs to be charged, simply plug its built-in USB adapter into any USB port. Why should I buy this product? What does it have to offer me? Whether youre a smoker or use lighters for cooking, traditional lighter fluid lighters are a thing of the past. 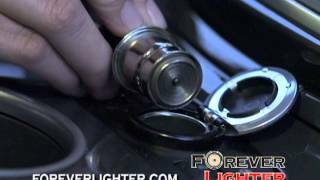 With Forever Lighter, youll never be stuck with a dead lighter again and you can save tons of money in the long run. We are committed to providing the best products and friendliest customer service. If you should have any questions about ordering or a question about any of our great products, please feel free to contact us via the information provided below. Call 866-518-2292 or email foreverlighter@customerstatus.com.